Congratulations to Luke Puchino! Luke Puchino has been invited to play quarterback and represent Longmont Christian School in the 6-man All State Game! Jackson Solem received a full ride scholarship to The University of Denver to play on the men's golf team. In the University of Denver's Pioneer Sports page, coach Erick Billinger called Jackson an "elite-caliber" athlete with "extremely high character." Congratulations to Boys Basketball on State! 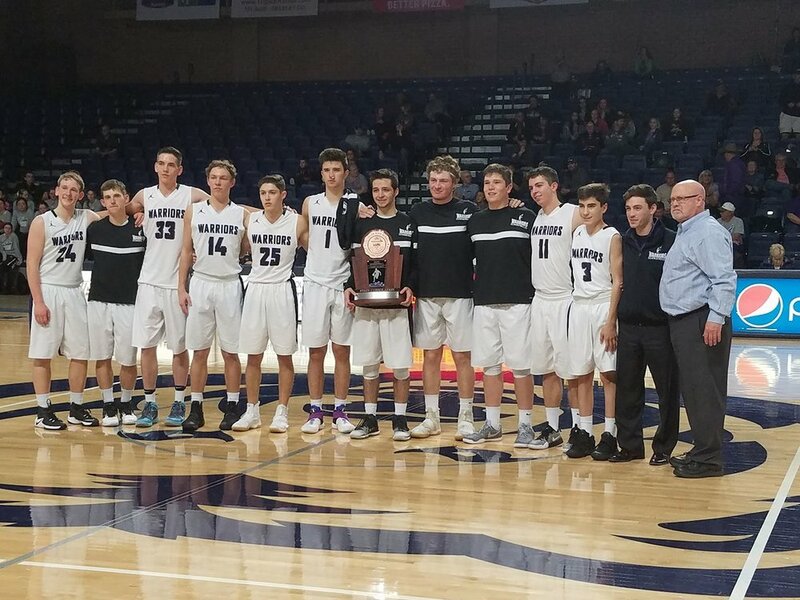 The Denver Post interviewed LCS basketball player Antun Maricevic: "And in the seven short months that he has been corralled in Colorado, playing for Class 1A Longmont Christian, Maricevic has blossomed in the Front Range prep ranks." Congratulations to the Boys and Girls basketball teams! The boys placed second in Regionals and the girls placed third in Regionals. Go Warriors! Bethany Praska, a 2007 LCS Graduate, competed in the 2016 Olympic Trials for the women's 800m on July 1st. She finished 30 seconds at the trials and finished the 2016 season with a personal best of 2:02.4.